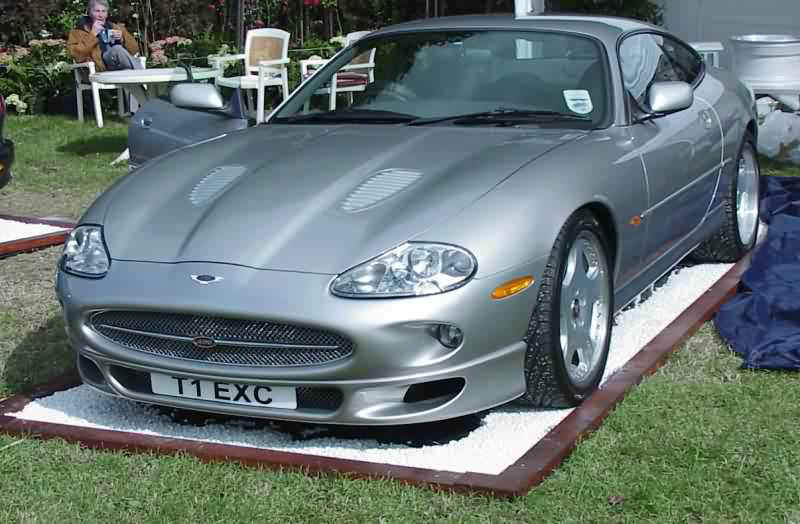 This page includes a list of upgrades, tuners and options available for the XK8 and XKR. If you know of a company not listed here please send us some information so that we can include it. Click on the arrows to the left of each name to access their site where you will find up to date information, pricing, etc... Note that the links and information provided was up to date when added to this page. - Uprated torsion bars and springs, lowering the car by 1/2"
In the spring 2000, Jaguar announced a limited edition version of the XKR, called the Silverstone, introduced around the Grand Prix week end to mark Jaguar's return to the track where it scored so many victories in the 50s, 60s and 70s. Based in the UK, this tuner offers a variety of options to increase performance of the XK8, XJR, XKR and also XJR6 engines, mostly thru exhaust and intake work. Various stages are offered, some offering as much as 100 extra HP, but in some case for track use only as some modification will cause the cars to fail emission or noise tests. TDI also offers some suspension upgrades ( torsion bars and springs ) to improve handling. 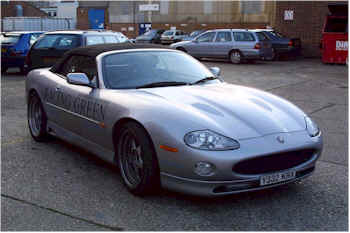 Jaguar Monthly magazine had an article on the company and test drove one of their modified car, in the december 2000 issue. Another British company, Paramount is well know for its conversions, often extensive, through mechanical, interior and exterior trim packages. They offer various packages to improve handling and braking along with push button shifting. 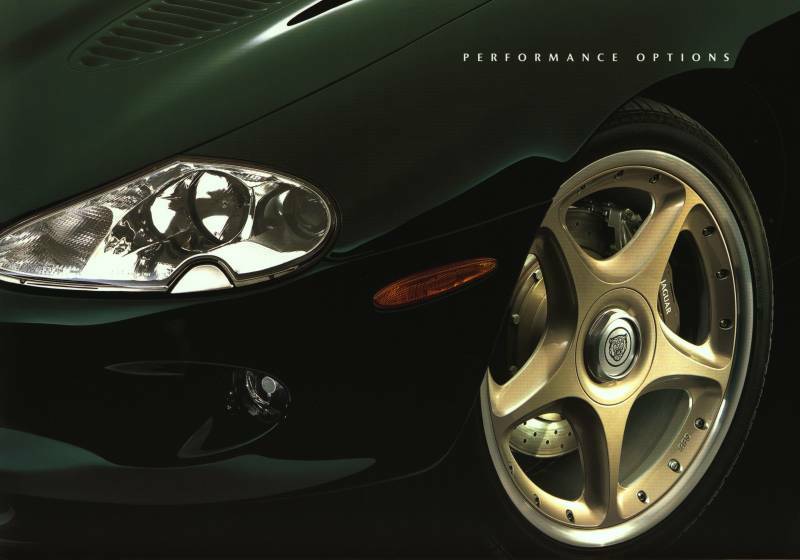 Click on the picture to see the Paramount brochure, available in the Jag Lovers brochure section. This German company has been working on Jaguar for years and offer a entire program of upgrades and accessories, including the all out Arden XKA. On the engine, they offer different packages to raise boost and hp along with an improved exhaust system, and push button shifting. Also available are front and rear spoilers and other trim pieces which, while nice, have a disctinct German look such as what you would expect on a BMW. Their full aerodynamic package has been tested at the Ford wind tunnel in Cologne where they achieved not only reduced drag but also a 20% reduction on front axle lift at high speed. The most unique thing they offer is a removable hardtop for the XK8 / XKR convertible, the only one of its kind. In the UK many of Arden products can be found thru Racing Green Cars LTD (see below). In the US, Arden is now (2003) represented by XKs Unlimited. Racing Green Cars offers various performance upgrades along with body kits, wheels, etc... including Arden products. For details on their exhaust system upgrades, see the pictures taken by Tony Bailey during installation of a new system on his XKR coupe. Located just outside New York City, this tuner now offers Jaguar upgrades for the XKR, XJR and S-type including brakes, wheels, differential, underdrive pulleys, etc... They can also reprogram the car's ECU and do interior work on leather and wood along with body kits from Arden and Ritter. If you like horsepower you probably have heard of Henessey, based in Texas, they're usually know as the Viper people. They now have added Jaguar to the list of cars they work on and they have developped a performance package adding 105 hp to the stock XKR (and XJR)... yes 475 hp ! This spectacular boost is achieved through high flow / ported heads, custom stainless exhaust and high flow cats, custom induction and ported / blueprinted supercharger. Unfortunately, these 105 hp do not come cheap, it will cost you $ 25 000 and 10 weeks of downtime, but with a limited 3 year / 36 000 miles warranty. This company, based in Maryville Tenessee, is best known for various upgrades for the older XJS line, including manual gearbox conversions. They are now starting to offer upgrades and parts for the XK line including larger exhaust, XKR mesh grilles for the XK8 and some of the R options ( Brembo brakes, Detroit 20" wheels ).